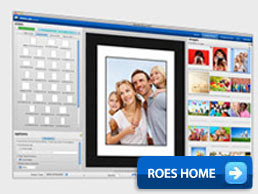 The 28mm deep Maxii ‘tablet’ profile is the ideal lightbox for A4, A3 and A2 images. Powered by mains or low voltage, the Maxii is an excellent ‘Point Of Purchase’ display. 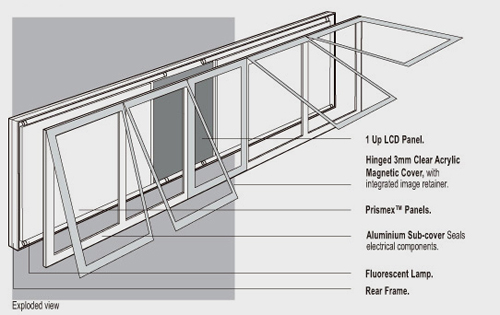 Designed for internal application, the Maxii can be surface mounted, recessed into walls, suspended in window mullions or mounted as a freestanding display. The Maxii, with simple image changing capability, complimented with Prolab’s professional services for image design and production will create a stunning presentation of your display. The 40mm tablet style menu board profile (based on a Strada hinged version lightbox) adds style and functional simplicity to your illuminated menu boards. 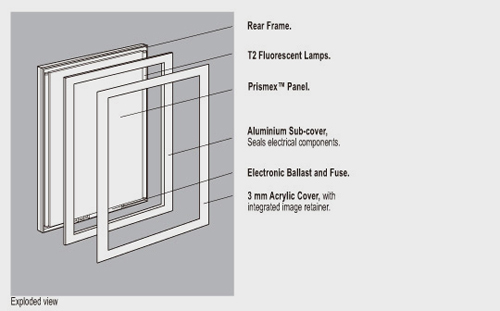 Hinged covers simplify menu changing, and multiple covers in a single light box frame enables economic construction of large menu board systems.Designed for internal application, the Menuboard can be installed on an angled sub-frame, or simply surface mounted to a wall. 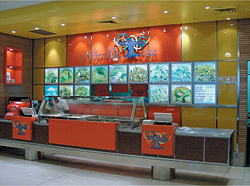 The slim profile saves space and installation cost as the menu board doesn’t need to be recessed. The Menuboard, with simple image changing capability, complimented with Prolab’s professional services for image design and production will create a stunning presentation of your display. Specifications – Frame Depth is 40mm (Sloped sub-frame adds a 10 degree forward lean to the sign) 1,2,3 & 5 image display units are produced in a range of standard sizes to suite images from 400mm wide x 650mm high to 450mm wide x 800mm high. 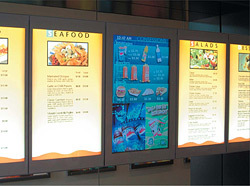 The inclusion of active LCD screens in a menu board empowers the delivery of information through video, animation and active graphics, while providing such practical benefits as being able to change the menu at different times of the day, the ability to introduce specials, product promotions and advertising, and to display through single or multiple screen systems with local or centralised controlLCD active menu displays are not just TV’s on a wall. The screens become part of a fully integrated menu display and a variety of software systems ensure the most practical content delivery is achieved for your application, whether you require a single screen menu system or a centrally controlled network operating multiple screens in many locations. The Multi-Media menu system, with simple image changing capability, complimented with Prolab’s professional services for image design and production will create a stunning presentation of your display. 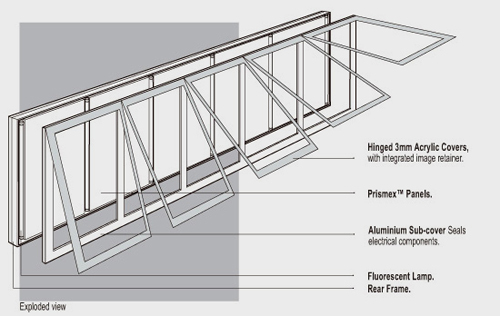 Specifications – Frame Depth is 40mm (Sloped sub-frame adds a 10 degree forward lean to the sign) 1,2,3 & 5 image display units are produced in a range of standard sizes to suite images from 400mm wide x 650mm high to 450mm wide x 800mm high. 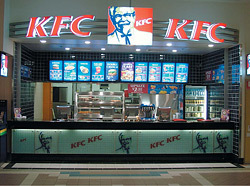 LCD screens can be fitted to any or all panels of the menu board.